May planned to spend the next few days trying to persuade opponents in her Conservative Party and its parliamentary allies to support the withdrawal agreement, which Parliament has resoundingly defeated twice. That left Britain facing a disruptive “no-deal” exit from the bloc on March 29, when a two-year countdown to the country’s departure runs out. After months of political deadlock, Britain’s House of Commons voted 413-202 Thursday to ask the EU to delay the country’s exit. The vote in itself won’t prevent Britain from crashing out of the bloc — an outcome that could mean major disruptions for businesses and people in both the U.K. and the 27 remaining EU countries. Cabinet Office Minister David Lidington said the likelihood of a no-deal Brexit had “diminished” with Thursday’s votes. He said he hoped the U.K. would “leave as soon as possible in an orderly fashion” if Parliament backs May’s withdrawal agreement next week. Pro-Brexit lawmakers in May’s Conservative Party have rejected her withdrawal deal — which lays out the terms of Britain’s departure and the outline of the country’s future relations with the EU — because they think it keeps Britain too closely bound to the bloc’s rules and regulations. The British government is holding talks with Northern Ireland’s Democratic Unionist Party, which has strongly opposed the Brexit divorce deal. The pro-British party thinks a guarantee in the agreement that there will be no customs checks or other obstacles between EU member Ireland and Northern Ireland after Brexit could weaken the bond between that region and the rest of the U.K.
May and her allies hope if the 10 DUP lawmakers can be persuaded to drop their opposition, many Brexiteer Conservatives will follow, giving her Brexit deal a fighting chance of winning Parliament’s backing. 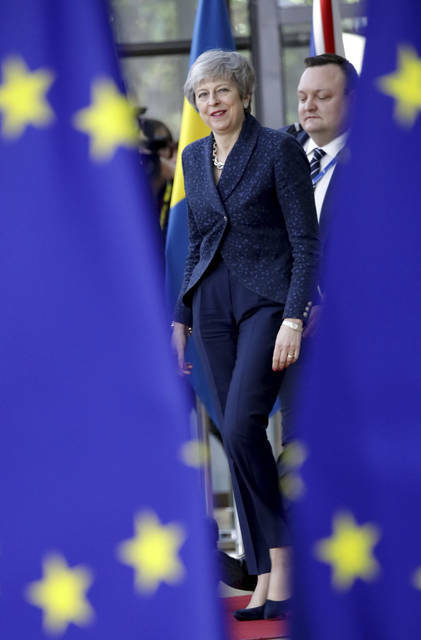 If her EU divorce deal is approved, May will seek a delay until June 30 to give time for Parliament to pass the legislation needed for Britain’s EU exit. 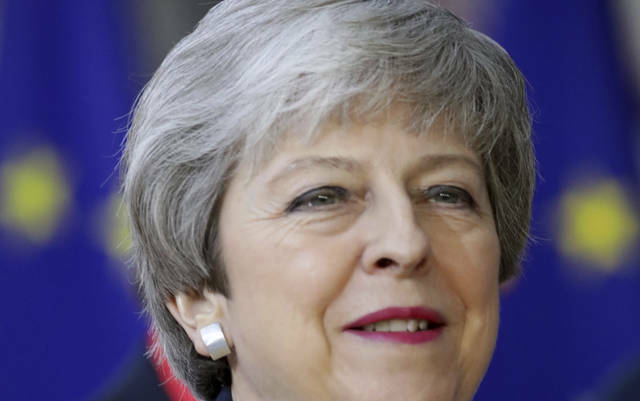 Success would be a remarkable turnaround for May, whose authority has been shredded by a series of defeats in Parliament. This week alone, lawmakers voted to defeat May’s withdrawal agreement, to rule out leaving the EU without a deal, and to seek a Brexit delay. May’s government and her Conservative Party are divided and discipline has frayed, with several ministers refusing to back the government’s line in voting. In one unusual episode Thursday, Brexit Secretary Stephen Barclay urged Parliament to support the government’s motion to seek a Brexit delay — then voted against it himself. Any delay must be approved unanimously by the 27 remaining EU nations, but they are quickly losing patience with Britain’s political disarray. 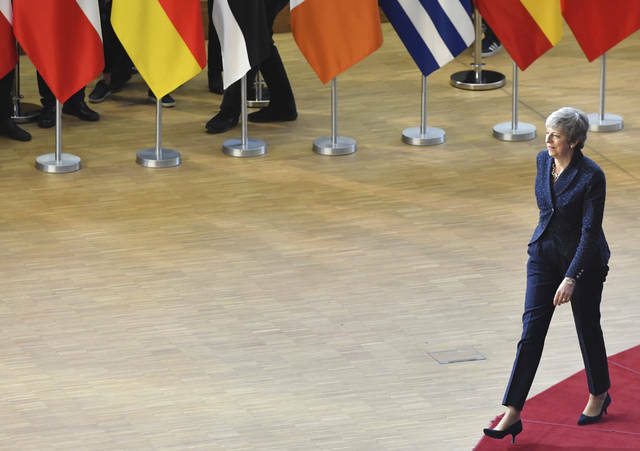 “I think the EU would be willing to give more time, but there must be some sort of a plan what should happen in this time,” she said. Partners: University of Michigan provides funding as a founding partner of The Conversation US. American University School of International Service provides funding as a member of The Conversation US. Max Fisher: Here’s a comparison. Scottish government offered them a 649-page policy document on everything from post-independence fisheries management to the status of the queen. But when British voters were invited to vote on Brexit, they were offered nowhere near as much information. The comparison demonstrates an equivalence – In both cases the political class made assumptions about the wishes of the populace and were wrong. For Scottish independence, they were so certain of “Yes”, so they prepared a thorough policy document for almost immediate implementation. For Brexit, they were so certain of “No” so they didn’t consider any details would be needed. The equivalence, not a comparison of a difference, shows the political class has no understanding of the will of the electorate The “political class” includes the whole gamut who supported the failed vote as though no alternate attitude could possibly appeal to anyone – politicians, the media, and academics. Remove their blinkers. …politicians, the media, and academics. Remove their blinkers. It’s their foul deeds that have damaged decisions of their electorate.